Based in Germany, Evonik is one of the world’s leading specialty chemicals companies, with roughly 33,000 employees worldwide. Antwerp is the company’s biggest site outside Germany, with about 1,100 employees. Profitable growth and a sustained increase in the value of the company form the heart of Evonik’s corporate strategy. The company’s activities focus on the key megatrends of health & nutrition, resource efficiency, and globalization, and it benefits specifically from innovative process and integrated technology platforms. As such, the company is well positioned both from the market and technology perspectives to be a dominant player in this market. In 2002, Evonik Oxeno, a wholly owned subsidiary of Evonik Industries, initiated C4 production in Antwerp, producing mainly dibutene, a starter used in chemical processing, and MTBE, an additive that improves gasoline combustion. The C4-based products from Antwerp are mainly used as chemical intermediates, and after partial processing are used in applications ranging from automobiles to leisure goods, textiles, and cosmetics. These C4 production facilities are closely integrated with similar facilities at the Marl Chemical Park in Germany. Since the launch of C4 production in Antwerp, these facilities have relied on Yokogawa CENTUM series distributed control systems (DCS). The DCS and related systems have been upgraded and expanded numerous times over the years to introduce new technologies, add on new capabilities, and handle an ever rising number of tasks at this steadily growing production site. The following reviews this steady evolution, and examines some of the challenges that Yokogawa took on and resolved with the most recent expansion at the Antwerp site, the construction of a new butadiene extraction (BDX) unit. The story of the DCS platform at Evonik Oxeno is typical and many users may recognize that, over periods of 10 or more years, the flexibility to accommodate expansions and keep up with the latest technologies is essential. In 2001, as part of its OLI-ANT project, Oxeno selected the Yokogawa CENTUM CS 3000 R3 DCS for the new C4 plant. The operator stations for CENTUM CS 3000 R3 ran on Windows XP, and it featured a redundant 10 Mbps V net coaxial control network. At the time, Yokogawa had not come out yet with its own safety instrumented system (SIS), so the DCS was connected to a HIMA SIS via a redundant Modbus link. In 2004, the 1-Butene project was undertaken to expand the existing DCS. A field control station (FCS) was added to the V net network and another HIMA SIS was added. With the MTBE-splitter project in 2010, the DCS and SIS received a significant upgrade. Motivated by the desire to achieve closer integration between these two systems, Evonik chose to go with Yokogawa’s ProSafe-RS SIS solution, and in so doing avoided splitting the handling of critical 4-20 mA signals to the DCS and SIS and improved incident analysis by enabling a combined chronological view of both DCS and SIS events. Evonik appreciated having a single vendor take charge of both DCS and SIS, which helped to make for a hassle-free integration of the two systems. To prepare for future expansion, Yokogawa’s Vnet/IP, a CAT5E-based control network running at 1 Gbps, was integrated with the existing V net backbone by setting up new field control stations in a separate Vnet/IP domain and connecting this to the existing V net domain via a Yokogawa AVR10D redundant router. Thanks to Yokogawa’s emphasis on ensuring backward compatibility with its CENTUM offerings, integration of these networks was seamless. With the announcement that Microsoft would terminate support for Windows XP at the end of 2014, the decision was made to upgrade to the Windows 7 based CENTUM VP R5 and convert the old V net domain into a single modern Vnet/IP domain. Once again, thanks to its concept of ensuring seamless upgrades and backwards compatibility between CENTUM systems, Yokogawa was able to propose and smoothly implement a cost-effective solution that brought the CENTUM platform fully up to date and prepared the way for yet further expansion. In 2014, the Zephir project got underway to increase production capacity at the Antwerp site by building a new BDX production facility. This required a doubling in size of the CENTUM DCS and SIS systems. In all, three FCSs, two ProSafe-RS stations, and multiple operator stations were added. With these changes, the DCS now has a total of five integrated operator centers with more than 40 monitors (24 inch). Thanks to the right choices that had been made with the R5 upgrade in 2012, this new equipment could be easily integrated in the existing system. A second challenge with the compressor was the extensive use of Siemens SIMOCODE, necessitating a PROFIBUS connection to the CENTUM DCS. Evonik expected some issues with this, but none were encountered. The biggest challenge proved to be the connection of third party equipment such as Siemens MAXUM GC analyzers to the CENTUM DCS. After startup, communication failed on a regular basis. 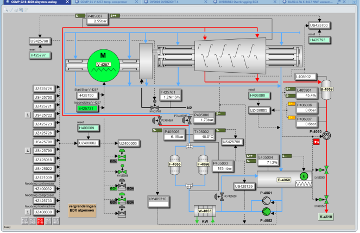 Yokogawa struggled to solve this and finally traced the problem cause to this other equipment. Once modifications were made, this problem was resolved. This latest expansion at Oxeno Antwerp roughly doubled the number of tags for the DCS and SIS platforms. With its Consolidated Alarm Management System, CENTUM VP R5 was more than adequate for this task, providing an interface that allows operators to easily deal with a large number of tags and their related events. A feature of this interface that allows the temporary “shelving” of nuisance alarms is particularly appreciated by operators. 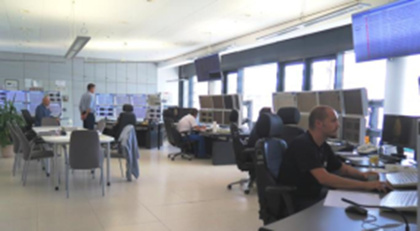 The original configuration work for the Zephir expansion project was done at the offices of Yokogawa Deutschland. Once the factory acceptance test was concluded, the system was then shipped to the Antwerp site for installation, loop-checking, and startup & commissioning. 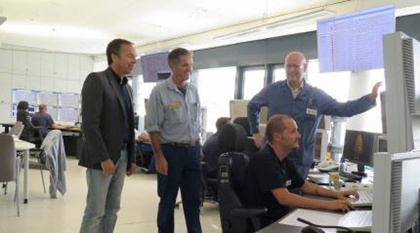 To ensure a smooth roll-out of the project in Antwerp, Yokogawa decided that engineers from the Yokogawa Belgium office should be involved at an early stage of this work in Germany. This was highly appreciated by the Oxeno staff in Antwerp, as they then could be assured of receiving good local support, both at the startup phase and on an ongoing basis, with the performance of minor modifications. After the successful startup of the project, the Oxeno staff were full of praise for the support they got from Yokogawa application engineers, saying that they appreciated their mindset and willingness to work together with Evonik to find optimum solutions for all kinds of challenges. The Zephir project once again confirmed that Evonik Oxeno had made the right choice in going with the CENTUM system solution in 2001. Continually expanded and modernized over the years, this CENTUM system continues to meet the high quality standards that Yokogawa is known for. - Dirk Boon, Account Manager Yokogawa Belgium.